Hey! I'm Shayna Braitman, and I'm a senior psychology major with a minor in management. Senior year is a really interesting time for me. It makes me think back on the past three years of my college career and all the things I have done here at Hofstra. One thing that stands out is Fall Festival. It's a time of year when students and student organizations really come together to show their Hofstra Pride - loud and proud! Lucky for me, I've been able to be involved in Fall Fest for all four years of college. I was involved in our Student Government Association (SGA) my first year at Hofstra, which allowed me to help with float building. This is where student organizations pick a theme and design a massive float to fit said theme. 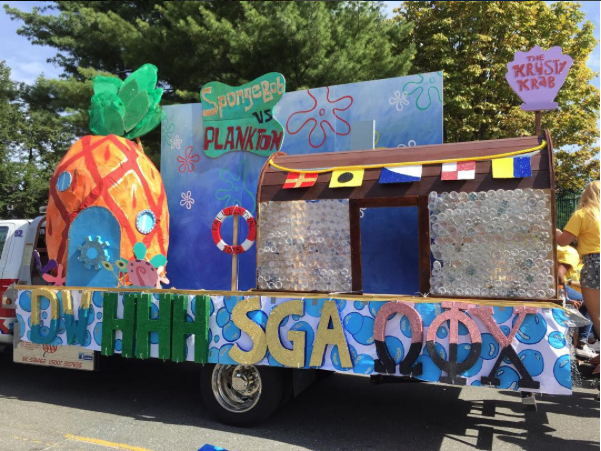 These floats would then get displayed in a parade on the Saturday of Fall Fest Weekend, and the Hofstra community and judges came together to vote. Our float is under construction! I hope we win! It's a lot of fun building these floats, but they are, in fact, a lot of work! I've always enjoyed it because it was a time for me to spend with my friends and build something that we cared about, together. As my final Fall Fest approached, I looked back on these amazing memories I've had each year. 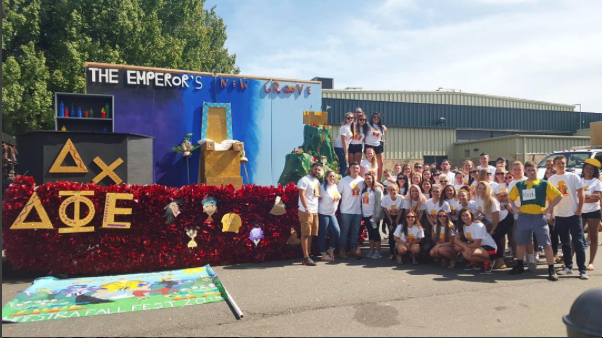 After I joined a sorority, I went from working with SGA to Delta Phi Epsilon for Fall Fest. It was really cool to see how one organization did it all compared to another. Float building this year is a time for me to reflect and remind myself how lucky I was to be involved in such amazing organizations during my time here at Hofstra and to be a part of something bigger than myself.